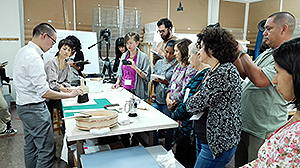 This workshop is held annually for the purpose of preservation and utilization of Japanese art objects such as calligraphic works and paintings overseas and developing understanding of these objects. 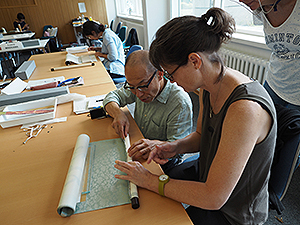 In this year, it was conducted that Basic course “Japanese Paper and Silk Cultural Properties” from July 6th to 8th, 2016 and Advanced course “Restoration of Japanese Hanging Scrolls” from July 11th to 15th at the Asian Art Museum, National Museums in Berlin (Museum für Asiatische Kunst, Staatliche Museen zu Berlin) with the support of Museum of Technology (Deutsches Technikmuseum). 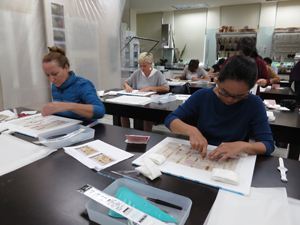 In Basic course, there were 15 restorers, conservators and students from nine countries. 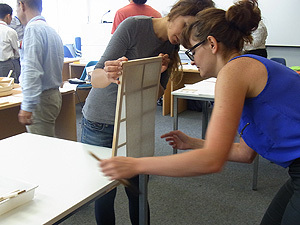 This course includes lectures on the materials used for the art objects, such as paste, animal glue, mineral pigments and paper. 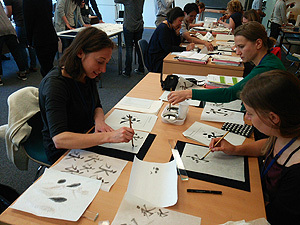 Practical works on producing a calligraphic work and a painting, and handling hanging scrolls were also conducted. 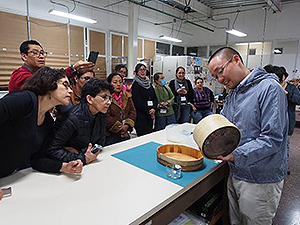 In Advanced course, nine restorers were attended from seven countries. 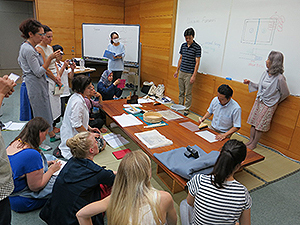 This course is comprised mainly practical works about “soko” (restoration technique based on traditional mounting) which is selected as Techniques for the Preservation of Cultural Properties by Japanese government. 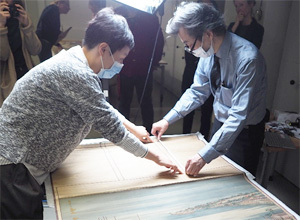 The practical works such as removing and attaching the rods of a hanging scroll, and demonstrations by the instructors like lining presented knowledge and techniques of restoring hanging scrolls. Discussions were held in both courses. 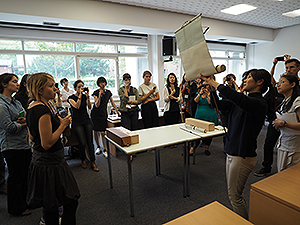 In addition to a question and answer session, opinions about restoration and applications of Japanese techniques and materials were exchanged.